The rigours of stop/go motoring on today's overcrowded roads can place tremendous demands on brakes. So for maximum safety and peace of mind it makes sense to have your brakes checked regularly by professionals. 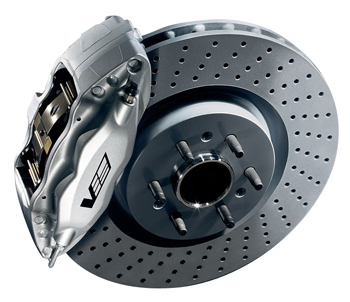 Most vehicles today are equipped with front disc brakes and rear drum brakes. These are operated via a system that consists of a hydraulic circuit linked in turn to the brake pedal. Pressure generated by the pedal (the braking force) is transmitted by the brake fluid via the hydraulic circuit to perform the braking action. It’s not always obvious that your brakes need replacing but there are a few warning signs to look out for. Noise, juddering or your car pulling to one side when you apply your brakes could indicate excessive wear to your pads or discs. Or, it could mean that a mechanical or hydraulic component is sticking or seizing. Simple wear and tear can also mean that you experience a reduction in brake performance. Don’t ignore the warning signs, neglected brakes can fail when you need them most. and we will be happy to advise you.